no reviews for this product. Login to place a review. 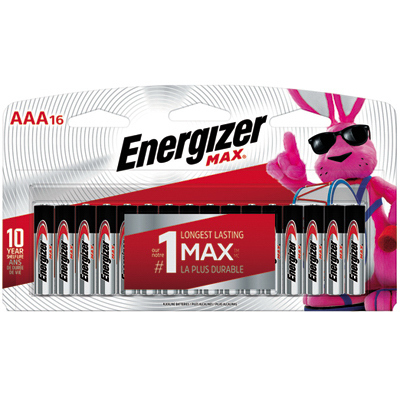 Energizer, 16 Pack, "AAA", Battery, Horizontal Recloseable Hanging Pack. The Davis family has operated Junction True Value for more than 60 years. This store and the Davis family have been a cornerstone of the West Seattle business community, serving the community and offering leadership in Junction development projects. Find out what's on sale, receive special offers, and be the first to know about store events. © 2018 Junction True Value. All Rights Reserved.